Place the collar on your puppy right after adoption. Keep it on your puppy at all times. 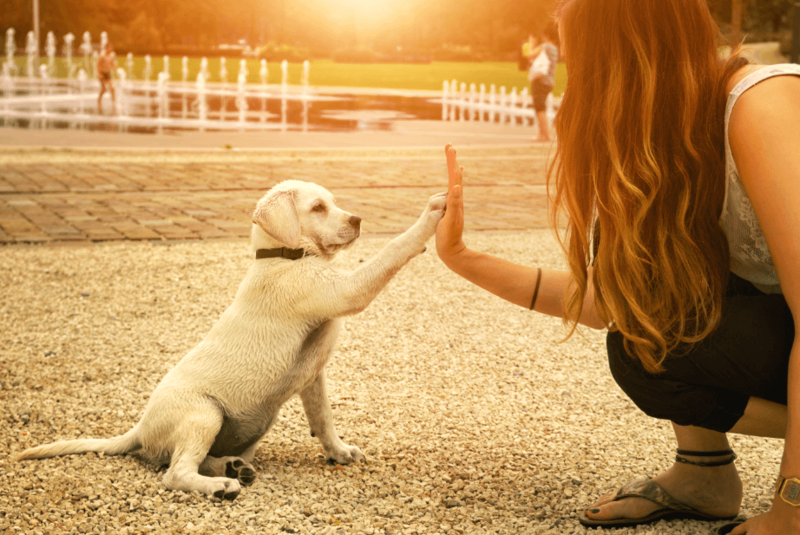 Why is socialization so important for young puppies? There is a ‘sensitive period’ every puppy has at the start of their lives between 8 – 16 weeks of age. During this window of time, puppies learn to accept things around them as part of normal life with nothing to worry about. That’s why it’s essential to introduce your puppy to as much as possible during this period in a positive way. After this period, your puppy may find it more difficult to cope with new experiences. Introduce your puppy to as much as possible during this time period. Make sure all encounters are enjoyable. Give strangers tasty treats to feed your puppy and a favorite toy so they can play. If your puppy seems anxious or fearful, give him/ her more space and freedom to approach in their own time (common signs to look out for are ears back, cowering, tucked in tail, licking lips, yawning). Try to plan ahead to ensure your puppy experiences what will be important in your life together. For example if you enjoy visiting the country but live in a city be sure to introduce your puppy to barnyard animals as well as loud city noises (buses, cars, trains etc). 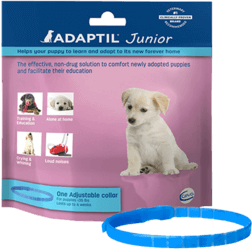 Using ADAPTIL Junior during this period helps your puppy to learn better and faster, and develop into a well-trained adult dog.